Welcome to our 2nd Harvest Week, our 24th Season as a Biodynamic CSA Farm! For those of you receiving a half share this week, we hope that you enjoy your first box of the season. Farmer John Writes Why You Have a Farm. 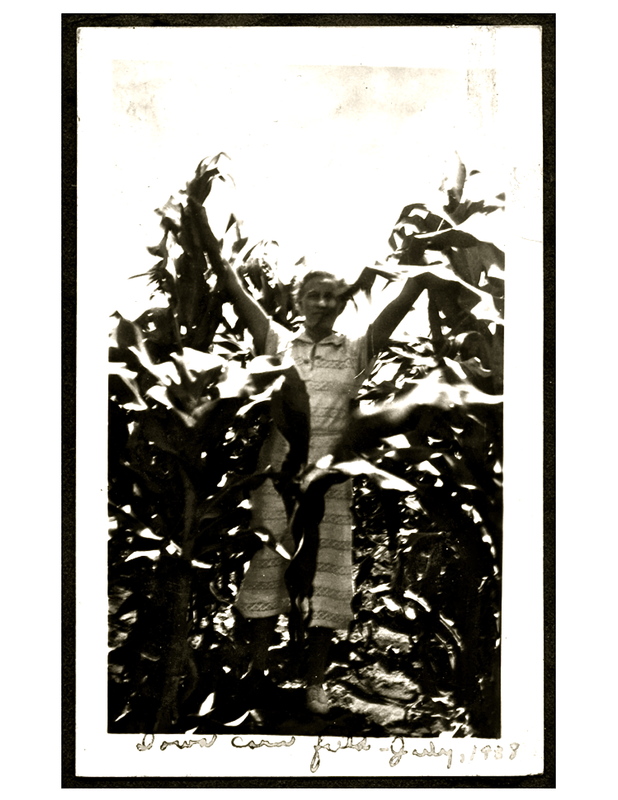 You have a farm supplying your vegetable and herbs today because of my mom, Anna Peterson Porter. She loved the farm and she supported it in any way she could. She passed away in 1998. Some of you knew her. A plumber came out a while back to do some repairs. He’s my age, 65. We were walking past the farmhouse and he said, “I had your mom for a teacher in grade school. I still carry her in my heart.” He said it in those exact words. If you ever met Anna, you probably still remember her. There would be no farm today, if not for her. 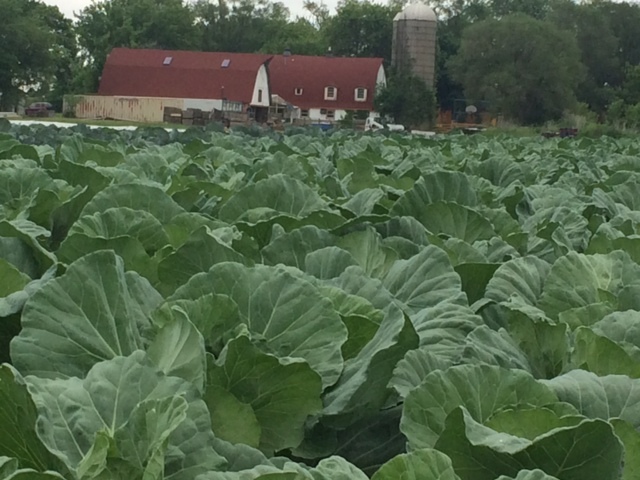 Rains pounded our fields early this week, splashing mud on the lettuce, and to a lesser degree, other leafy greens. We don’t wash the head lettuce, because it’s a tremendous job to wash it and then have it drip-dry to the right moisture level over the next many hours. Also, many of the lettuce varieties we grow are delicate, and the extra handling from washing can mangle the outer leaves. 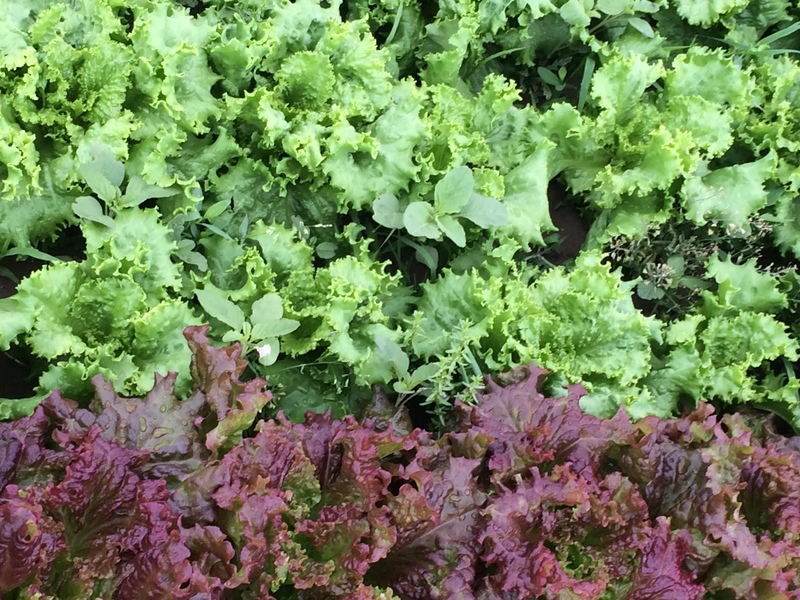 So, please take extra care washing the lovely soil from your farm off of your lettuce leaves. If the delivery day is going to be hot, say over 82 degrees or so, we bag your lettuce to help it retain it’s coolness and moisture. We don’t love using the extra plastic bag for your lettuce, but we want your lettuce to arrive as fresh and cool as possible. We always have you, the shareholder, in mind, when approaching the work–how to make sure you receive a full box of nutritious vegetables week after week. There is a possibility of heavy thunderstorms this week. If we get to the necessary fieldwork before the storms, we’re fine. If the storms come first, and we are not current in weeding, seeding, trellising, transplanting, and hilling, by the time we can get back into the fields, we have a messy backlog of work on our hands. At Angelic Organics, we strive to always be a little bit early with our work, to outfox the weather. This past week, we ramped up our field activity, because of the threat of storms. We weeded winter squash, melons, cucumbers, Brussels sprouts, and carrots, transplanted lettuce, seeded cover crops, trellised tomatoes, prepared fields for transplanting fall broccoli and cabbage, mowed established cover crops and driveways, and hilled potatoes, all the while harvesting for and packing hundreds of CSA boxes. Everywhere we look on the farm, the crops are flourishing! Want to Contribute to Farm News? Keep your calendar open for our farm open house on Saturday, July 19 and Saturday, Sept 20 . 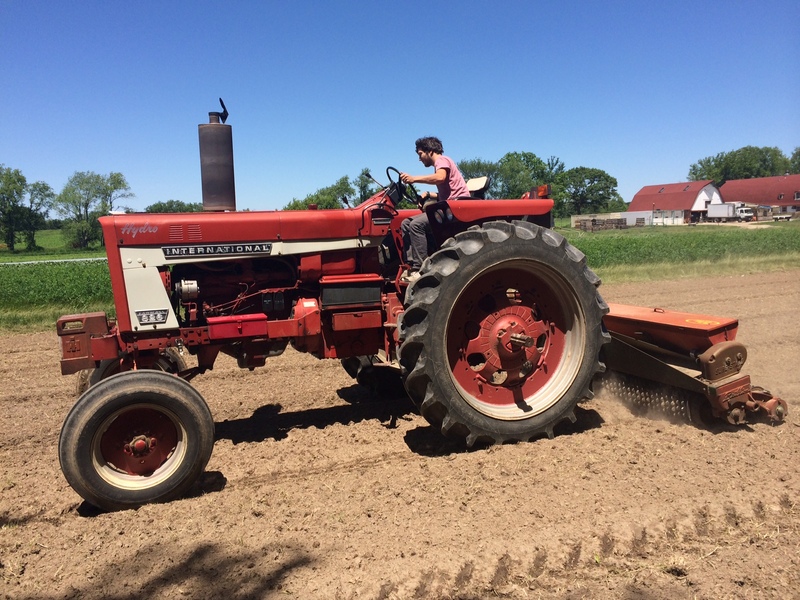 Kids love seeing their farm, and so do their parents. More details soon.